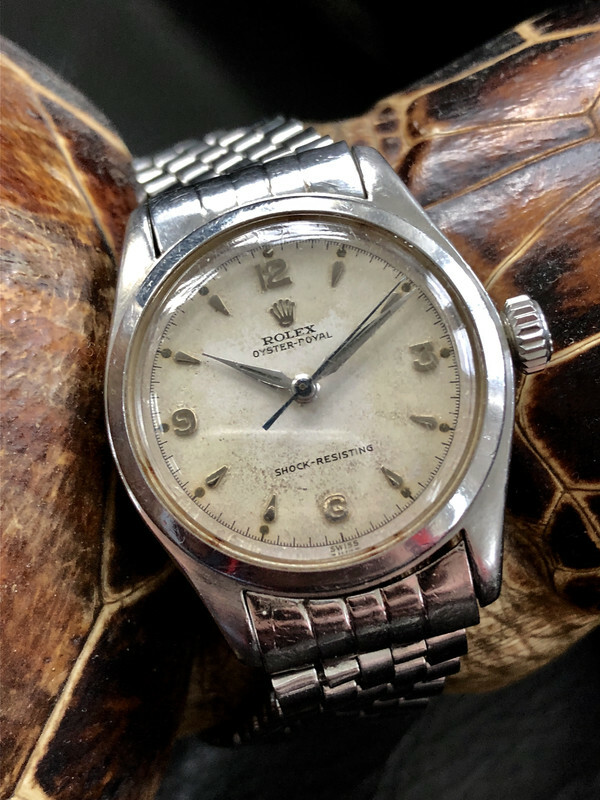 Beautiful and all original Rolex 6144 Oyster royal on a very rare steel bracelet that is still at full length. If you have any questions, do not hesitate to contact me. The price for this beautiful piece is 1950 euros.